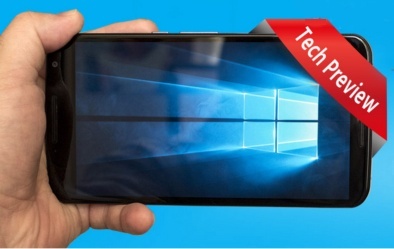 The Silverlight bridge that helps accelerate bringing Windows Phone 8.1 apps to the Universal Windows Platform on Windows 10, is now released for general availability and can be downloaded at http://www.mobilize.net/download-silverlight-bridge. Mobilize.Net, in partnership with Microsoft, today announced that the Silverlight bridge that helps accelerate bringing Windows Phone 8.1 apps to the Universal Windows Platform on Windows 10, is now released for general availability. 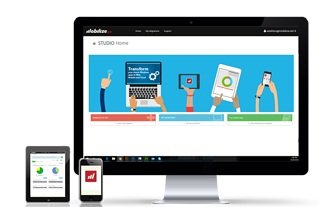 Developers can download the free Visual Studio add-in at http://www.mobilize.net/download-silverlight-bridge. The Silverlight bridge jumpstarts application development and allows developers to parse and analyze current source code, automatically converting references to the Windows 10 API. The bridge currently has 2300 mappings and additional helpers to assist with this migration. Mobilize.Net has created a wiki at https://github.com/MobilizeNet/UWPConversionMappings/wiki/Automatic- Conversion-Considerations where developers can learn more about best migration practices, common scenarios where semantic translation is required, as well as known solutions and workarounds based on community feedback. Since the developer preview release in mid-September, Mobilize.Net and the community have been active, adding new conversion mappings, features and improvements based on real world scenarios. Feedback from across the world drove new features and improvements. Highlights include conversion of embedded SQL to SQLite and Windows Storage libraries, optimization of the error notification process based on common scenarios and improvements for the conversion of Async methods that require additional logic. The GitHub repository which has the conversion mappings, including over 800 mappings and semantic translation helpers, which can be fully customized and improved by the development community. In addition to the mappings, helpers have been added / enhanced in the following areas: Networking, UI Navigation and Elements, Contacts and Tasks, Device properties, Phone Storage, GPS functionality. Download the Mobilize.Net Silverlight bridge for free at http://www.mobilize.net/download-silverlight-bridge. Windows Phone 8 developers have a new, free tool in their arsenal – Mobilize.Net’s Silverlight bridge which converts Windows Phone 8 Silverlight apps to Windows 10. The tool parses and analyzes the source code of Windows Phone 8 Silverlight applications, and translates forms, controls, properties, methods, events and other APIs to their closest analog on Windows 10. While the tool won’t convert 100% of the application, it will dramatically reduce the time and effort needed for developers to move portfolios of applications to Windows 10. Typical applications will see 80% or more of their code automatically migrate to the new platform. The new applications will run on the full range of supported Windows 10 devices including PCs, phones, and IoT devices. More detailed information can be found from Microsoft at http://aka.ms/silverlightbridge. Mobilize.Net’s Silverlight bridge is an add-in to Microsoft Visual Studio, available for free to all developers. It transforms C# source code originally written for Windows Phone Silverlight 8.1 into source code targeting the new Universal Windows Platform, enabling the new application to run on any Windows 10 device. 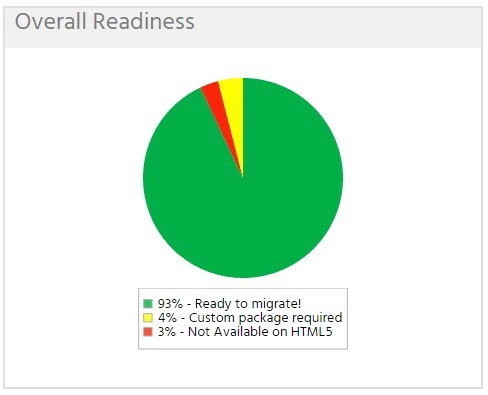 Leveraging the automated code analysis and transformation technology in Mobilize.Net tools, the add-in accelerates migrations, dramatically reducing cost and eliminating project risk associated with manual rewrites. Developers can download, install and use the tool directly from within Visual Studio. The add-in contains a rich extensibility model open to all developers, which enables third parties to add to the library of available mappings and transformations. Developers can convert Windows Phone 8 projects (.SLN solutions) to the new UWP Visual Studio format. This feature alone saves a huge amount of time and effort. Any developer can contribute to the Mobilize UWP Bridge project and the resulting mappings are also freely available. The open source project is hosted at GitHub at https://github.com/MobilizeNet/UWPConversionMappings. The tool is available for download immediately and includes 700 mappings. More mappings are being developed and all 1200 mappings will be completed in early November. Developers can download the tool at http://www.mobilize.net/uwp-bridge. At the Microsoft Build 2015 event today, Mobilize.Net, a leading provider of application modernization products and services, announced an agreement with Microsoft Corp. to develop and release a tool that significantly accelerates conversion of applications written for Windows Phone to run on the much anticipated Windows 10 devices. The tool will parse and analyze the source code of Windows Phone Silverlight applications, and translate forms, controls, properties, methods, events and other API to their closest analog on Windows 10. This tool will dramatically reduce the time and effort needed for developers to move portfolios of applications to Windows 10. The new applications will run on the full range of Windows 10 devices including PCs, phones, and IoT devices. The Mobilize.Net migration tool will be released as an add-in to Microsoft Visual Studio 2015, available for free to all Windows developers. The tool will transform C# source code originally written for Windows Phone Silverlight 8.1 into source code targeting the new Universal Windows Platform, enabling the new application to run on any Windows 10 device. Leveraging the automated code analysis and transformation technology in WebMAP2 (also announced today), this Visual Studio Add-In will enable complete migrations in a third or less of the time required for a manual rewrite, dramatically reducing cost and eliminating project risk associated with manual rewrites. Developers will be able to download, install and use the tool directly from within Visual Studio. The tool will be available for free both from the MSDN and Mobilize.Net websites. The tool will contain a rich extensibility model open to all developers, which will enable third parties to add to the library of available mappings and transformations. Any developer can contribute to the project and the resulting mappings will also be freely available. Developers can check out the demo at Build in the demo zone area on the second floor. The tool will be available first as a technical preview in Q3, 2015. Go to www.mobilize.net/BUILD to get on the list for the pre-release.